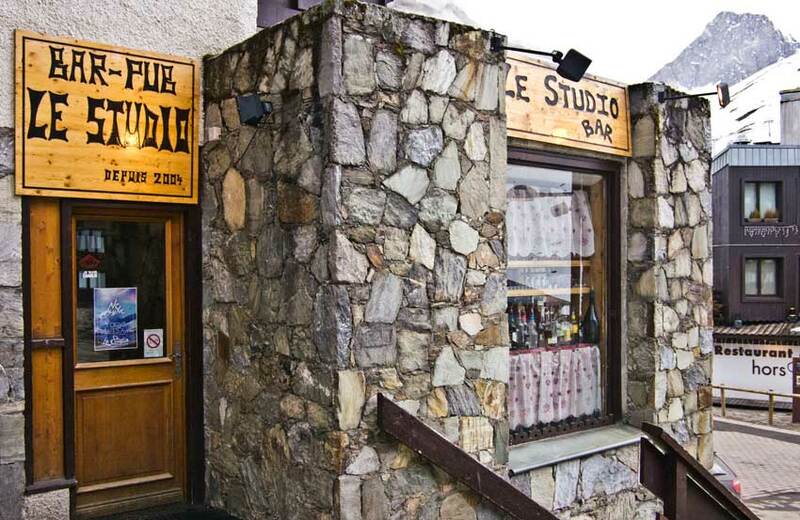 Le Studio, in the Sefcotel building, is a small cozy bar that is perfect for a quiet drink in a friendly atmosphere. The decor is original with snowboards fixed to the walls and bindings as coat hooks. The Studio offers a good selection of wines and beers and also serves cocktails. The specialty of the house, the Génépi shooter, is a must!